Special Offer: RC Helicopter for Less Than Half Price! The iConheli RC Helicopter is a remote control toy for the 21st century. Forget about clunky handsets and fiddly little thumbsticks; this particular RC helicopter is controlled using your iPhone, iPad or iPod Touch. Pretty nifty, eh? And the best news is the price. The iConheli usually costs £49.99, but we at Gadget Inspector love a bargain and so we're currently letting the copters go for just £22.99. That's a saving of £27 - less than half price! This will bump your copter's price down to a lean £22.99. This offer won't last long, so make sure you take advantage of it today - you won't find a cheaper chopper anywhere else! 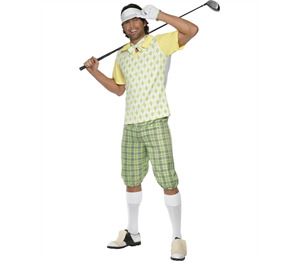 Master Your Pub Golf Costume! With the Masters starting today, Gadget Inspector hopes this has putt you in the golfing mood! We think this is a perfect opportunity to not only go on a messy pub-crawl, but to wear some crazy golf clothing in the process! We know pub golf has been popular for a number of years but now is the appropriate time to have a round. 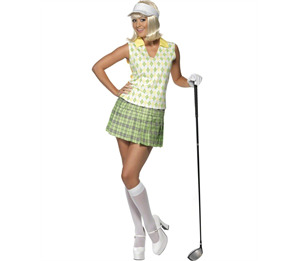 Check out some of our golf accessories and grab yourself a pub golf costume today! Gadget inspector has all the essentials covered; man pub golf costume, girl pub golf costume, and of course zombie pub golf costume. Because zombies do like golf too you know, you'll often find them at shooting ranges. Gadget Inspector has hit a hole in one with these costumes as they're appropriately goofy and perfect for any pub-golf costume. We don't think you need an excuse to go out and get merry, but why not use the Masters as an excuse and pop on your pub golf costume and get your scoring cards ready!